Having the ability to reach many people at once by leaving an instant, automated voice message has become a favorite among prospectors, local businesses, and real estate agents. This kind of voice broadcast marketing allows the salesperson to reach many people at the same time which is humanly impossible to do on your own. Here’s a list of commonly mentioned tools used today to leave a voice message via Voice Broadcasting or as agents often call it – “A Call Blast”. What are the best CRM’s? How do I rank on the Search Engines? Where do I get the best Real Estate Website? Voice Messaging for Business is simple to use and ensures that your message is delivered directly to voice-mail using patented voice messaging technology. Use Voice Broadcast to send important alerts, promotions, updates, and notifications to customers, employees, voters, and more. It’s an easy and cost-effective way to reach more people in less time. 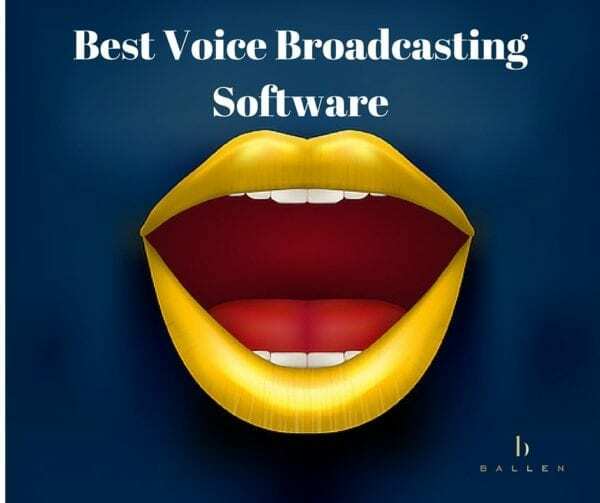 Voice broadcast has numerous applications spanning across industries. It’s simple to setup and adds a personal touch to your communications. MessageCommunications.com will broadcast your pre-recorded message anywhere in the United States and Canada at the lowest cost, guaranteed! Just select from one of two simple pricing plans, record your outgoing message, and start your calls! You can either (1) pay ONLY for transferred calls (Press-1 Responses) or (2) pay ONLY per minute. You can even change your pricing plan to whichever will costs you less at anytime! You will always be in complete control over your campaign 24/7 via our Web Based Account Management System. Additionally, they provide you unlimited access to the largest national consumer and business database available included as part of the service! Send thousands of voice messages at once without touching a phone. You can easily upload your own message or create a message in multiple languages using our text-to-speech feature. With simple setup, quick scheduling and test calling, your automated voice campaigns will be up and running in minutes. Record, schedule, and send your voice broadcasts to a few or a few thousand. Direct to voicemail, call transfers, or customize your audio for live or voicemail messages. It’s fully customizable. Whether you’re a church, school or Fortune 500 company, count on Call-Em-All’s automated messaging service to send your important alerts, notifications and reminders to your whole group in an instant. With the easy to use web-based system you can quickly import your contacts into your account. From there you can organized them into groups and much more. This way when you want to send broadcasts you can send it to a specific group of numbers or all of the people in your account. Voice broadcasting is a powerful way to stay in touch with your customers and increase their loyalty by delivering information they care about. More personal than email and more flexible than direct mail, voice broadcasting makes it easy to send personalized messages and to collect individual responses that can be mined for insights. The automated phone system asks little of you. Simply record one message, and the system will dial every number on your list at once. With just one call, your message will be delivered to thousands of land lines and cell phones. As an option, you can type an email or social media message, and we can convert the text to a natural-sounding voice. Easily create voice broadcasting campaigns on the 100% hosted, user-friendly platform. Use this automated dialer to create and manage multiple campaigns and lists with full reporting and statistics. In addition to sending your voice messages through the phone, you can share your voice on social networks like Facebook and Twitter. You can also share your voice via email or text, through a web link, and/or even embed the player into your own web site. Keep your customers informed in real-time by using IVR Tech’s self-service outbound text and voice broadcast system. The text, email and call blast solutions enable you to manage subscriber cell phone numbers, opt-out requests and other campaign specifics, such as message delivery dates and times. The platform also helps you stay in compliance with the latest industry standards and regulations. Experience Protus Voice,voice broadcast dialer, an effective and smart way to connect with your customers. Protus Voice allows businesses to communicate to thousands of customers at once with a single voice call. A Voice Broadcasting Platform designed for the serious players in the wholesale market. BLI Messaging’s WebLaunch™ platform offers the ability to send voice messages to recipients phones (land lines or cell phones) in bulk, to one or many lists, at the touch of a button. From emergency alerts to celebrity promotions – the applications are endless. Voice broadcast features are key part of GroupCast’s mass notification platform. Voice messages can drive high levels of trust and engagement with message recipients and are a great choice when communicating sensitive or urgent information. The T-Max Voice Broadcast dialer is great for appointment reminders for doctors, spas and other offices, as well as political campaigns and charities. Thisvoice broadcast dialer is perfect for anyone wanting to leave pre-recorded information with the party that answers the phone or on answering machines. It will also allow the consumer to have the option of pressing a number to speak with your company if they wish to. This voice broadcast dialer is great at leaving massive messages and information while generating live contacts.